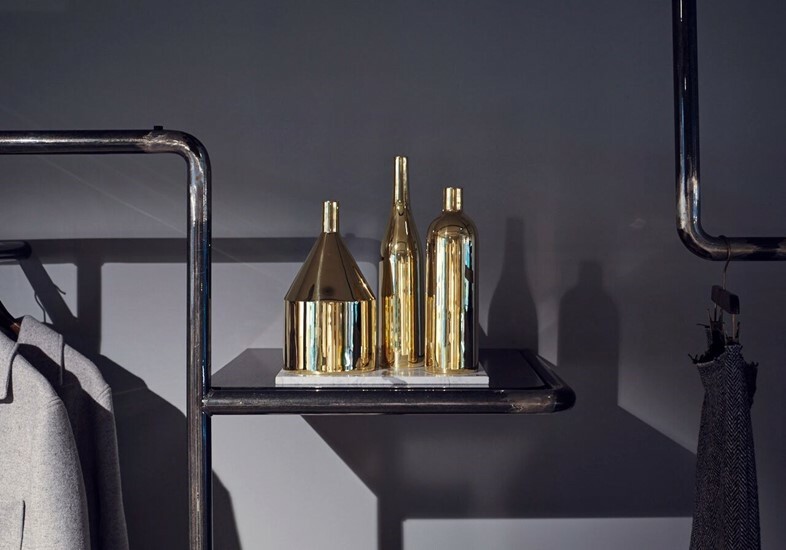 The history: The newest addition to Shoreditch's ever-expanding plethora of independent boutiques, Modern Society's eclectic range of fashion staples mixed with antique trinkets was set up by Nazifa Movsoumova, following years of pop-ups held around London. With brands like Isa Arfen sitting alongside carefully selected Scandinavian homewares and hand-crafted Japanese ceramics, wreath-making classes with Grace & Thorn and a mini-coffee shop where you can relax post-purchase, it is a haven of festivity and a treasure trove for gift-hunters. The decor: Once Movsoumova secured her lease on the space, she completely refurbished it, turning the double-decker store into the perfect combination of mid-century eclecticism with modernity. The new incarnation of 33 Redchurch Street teams chequered floors and antique chandeliers with antiques found at Kempton Park, and everything in store – from the re-upholstered vintage chairs to the artworks on the wall (which includes the likes of George Byrne) – is available to purchase, so you needn't go home envious and empty-handed (but instead, can try and fit an armchair under the tree). The standout stocking filler: The Experimental Cocktail Club book – your friends and family will thank you. The history: Over the past 25 years, designer Bella Freud has established her own name as synonymous with British style – her witty, signature knitwear championed by style icons from Kate Moss to Alison Mosshart – and her innovative collaborations with the likes of Susie Bick, Anita Pallenberg and John Malkovich. Recently, she's branched out into perfumes and candles with her old friend Azzi Glasser, and now all of her offerings are housed under one roof at her new Chiltern Street store. The decor: A former art gallery, revamped by the same architect who refurbished Bella's own home, Freud's flagship offers more than just jumpers and accomodates all of the eclecticism you would expect of her: hand-selected record and literature, intarsia cushions, candles burning her 1970s fragrance. 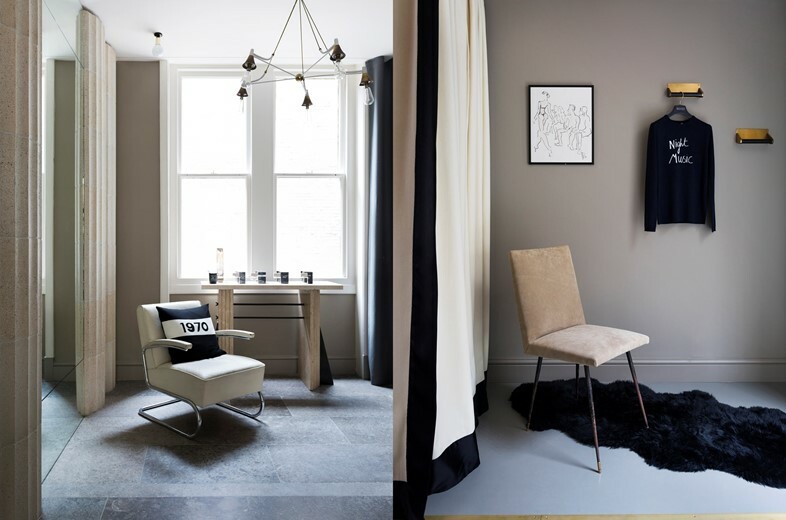 "I wanted to create an intimate shopping experience with an apartment-like feeling a bit like stepping into a friend's place for a cup of tea and leaving with her favourite jumper," she explains. Objective achieved. The standout stocking filler: One of the new word cushions, emblazoned with Freud's 1970 logo. The history: Renowned makeup artist Charlotte Tilbury launched her eponymous cosmetics range at the end of 2013 – and in the two years since, she has managed to achieve an unbelievable level of success by turning her famous love of old Hollywood glamour into an ever-expanding range of products. 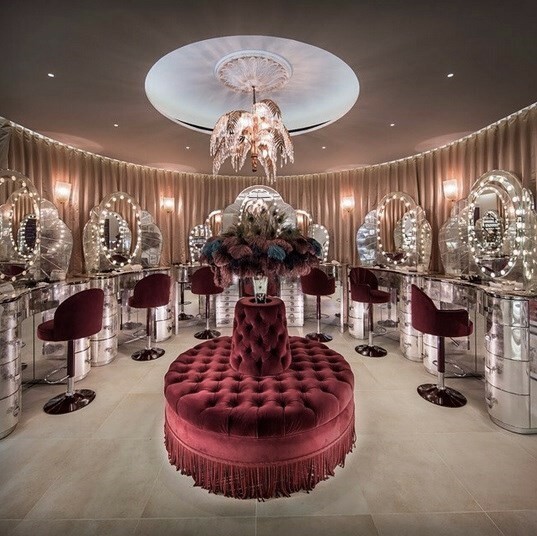 In November, she launched her first standalone store in Covent Garden – a luxuriant space devoted to instructional tutorials and the transformative power of makeup, with its very own champagne bar. Nothing less than what we would expect from Tilbury. The decor: The space is separated into two levels – upstairs is labelled fast, for the "busy women on the go" and downstairs "fabulous," for those with time to indulge in a "whole new beauty heaven." In spite of this division, the entire "boudoir" is united by its devotion to beauty icons of Marilyn Monroe and Elizabeth Taylor, filled with vintage chandeliers, art-deco furnishings, vintage ornaments. Essentially, it is the most sumptuous incarnation imaginable of Charlotte's entire aesthetic. The standout stocking filler: Charlotte's Magic Cream; the ultimate Christmas party primer... and you can even get it engraved in-store.